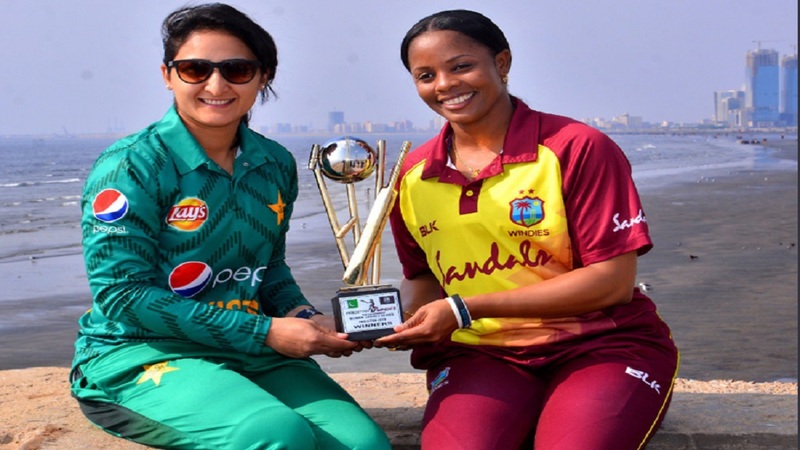 West Indies captain Merissa Aguilleira (right) and Pakistan captain Bismah Maroof pose with the T20I trophy. 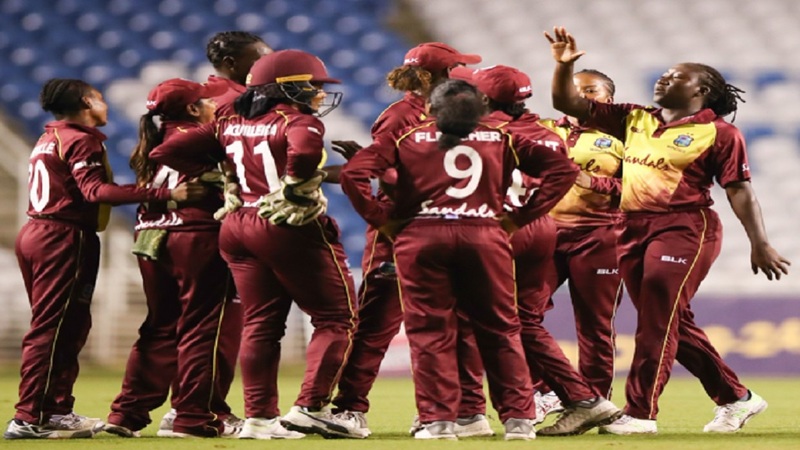 A 13-member West Indies women's squad arrived in Karachi on Wednesday for the first visit to Pakistan by a non-Asian women's team in 15 years. The Caribbean team is scheduled to play three T20 Internationals in Karachi and the series is being seen as another important step towards the resumption of international cricket in Pakistan. The squad led by Merissa Aguilleira with a support staff comprising eight members met by officials of the Pakistan Cricket Board (PCB) women's committee was escorted by over 500 policemen from the airport to the hotel. The team travelled on bullet-proof buses owned by the Pakistan board. "The security system is top class," West Indies captain Aguilleira said. "There was security on both sides of the roads and these things show that everybody has put things in place and we are really lucky to be spending time here. "I really urge other teams to come back to [play in] Pakistan because the people here love cricket, which is the most important part." The team is without regular captain Stafanie Taylor who opted out. International cricket was suspended in Pakistan in March 2009 due to security fears after terrorists had attacked the vehicles carrying the Sri Lankan team and match officials to the Gaddafi stadium. The three T20Is in Pakistan will be played on January 31, February 1 and 3 at the Southend Club before the two sides will go head to head in three ODIs in Dubai on February 7, 9 and 11. The first ODI will be played at the Dubai International Cricket Stadium (DISC), while the second and third ODIs will be played at the ICC Academy. The Windies Women are currently ranked fourth in the ICC Women’s T20I rankings, while Pakistan are ranked seventh. In the ODI rankings, the West Indies are sixth and Pakistan seventh. 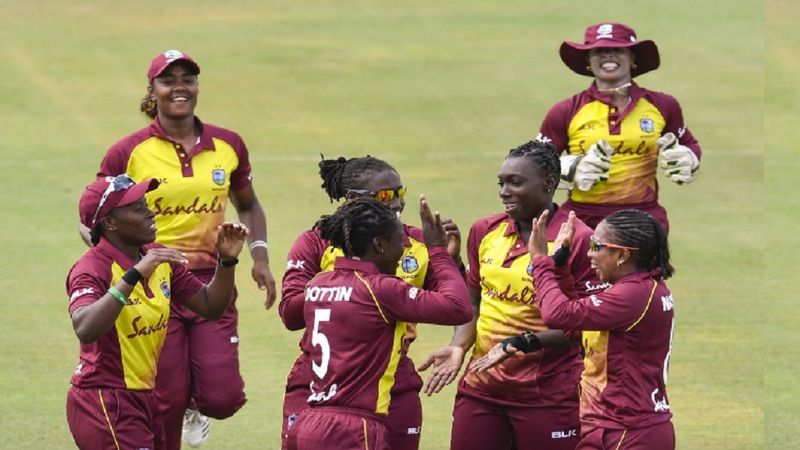 After three rounds of the ICC Women’s Championship, the West Indies are sitting in fourth position on nine points with four wins and as many defeats, while Pakistan is sixth on eight points with four wins and five losses. Karishma Ramharack is a replacement for Hayley Matthews who suffered medial knee ligament damage to her right knee during the WBBL in early December. Hayley still requires a further 3-4 weeks of therapy before she can resume playing.